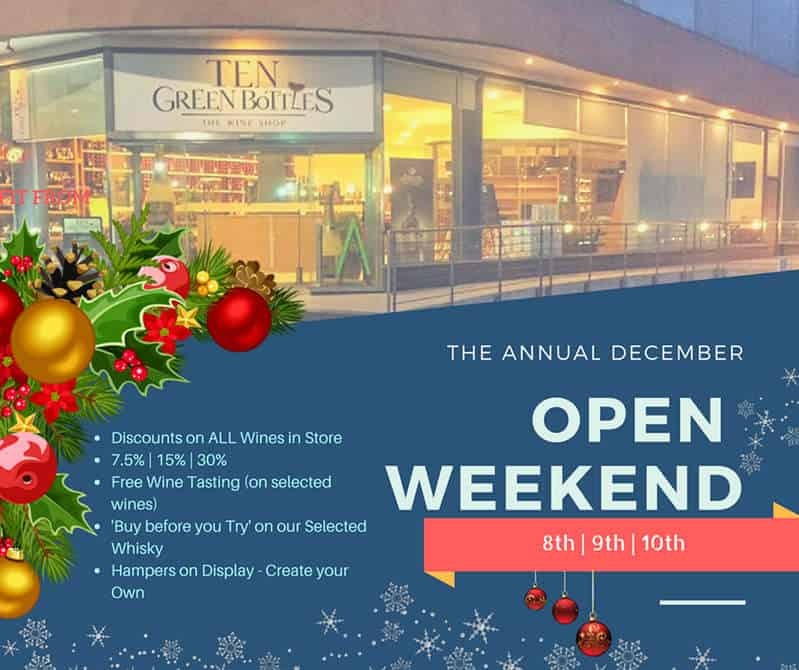 Join us for our Annual December Open Weekend. How is your December going so far? Ours, has treated us well, and we feel like an Open Weekend to celebrate good times! Join us from the 8th till the 10th December for another fantastic *Discount Frenzy! * in all our shops (TGB Zebbug, CaC Valletta and St. Julian’s). Sample whisky before you buy, and have a go at our wines by the glass while you choose your *Hampers*! You can create your own too! Feel free to share the message on Facebook via this link: The Annual December, Open Weekend! !